Named after the gruelling Paris-Roubaix road race the Specialized Roubaix range is designed to offer a smooth, fast and efficient ride over any road surface, including the very roughest. With numerous wins on the notorious cobbles of this iconic race the Roubaix lives up to the mantra ‘smoother is faster’. The Roubaix bikes we review here, builds on the 2017 redesign that saw this concept taken a stage further, with the introduction of Future Shock technology. Developed in partnership with McLaren Future Shock offers a smoother ride with improved efficiency and sharper handling characteristics. 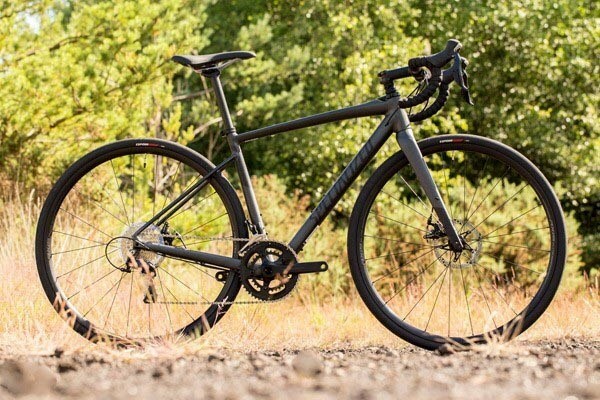 With its tried-and-tested endurance road bike riding position, combined with a lightweight carbon fibre composite frame, Future Shock technology and disc brakes on all models, the Roubaix is a smooth rolling road bike that makes light work of challenging conditions. What is surprizing about the new Roubaix is that with a weight of around 700g this is the lightest frame that Specialized have ever built. Of course you need to add on 200g for the Future Shock and 300g for the fork but this is still a seriously lightweight chassis. The frame is built from Specialized’s FACT carbon fibre (the S-Works & Pro feature 11r with 10r on the Expert, Comp & Elite and 9r on all the other models) which features higher modulus fibres in high stress areas like the headtube and bottom bracket. This means that the frame is stiffer where it needs to be for improved power transfer and steering precision. 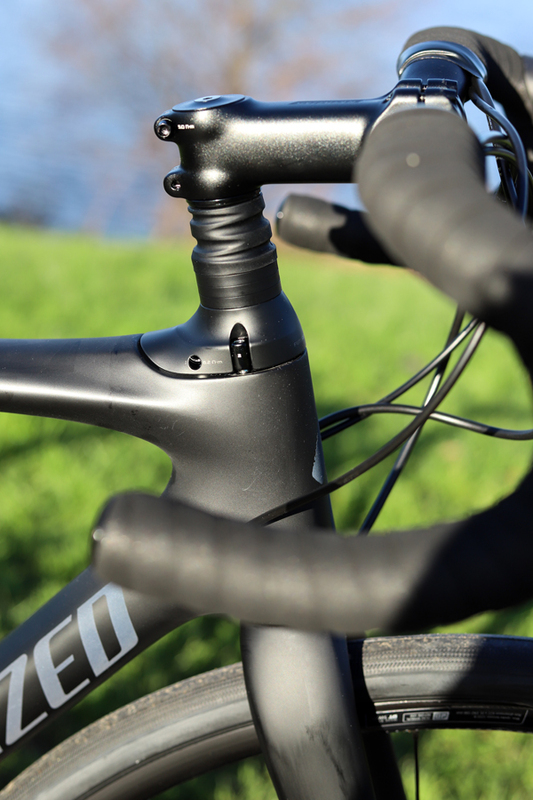 The fork is made from FACT carbon on all models and is incredibly stiff, strong and reactive. 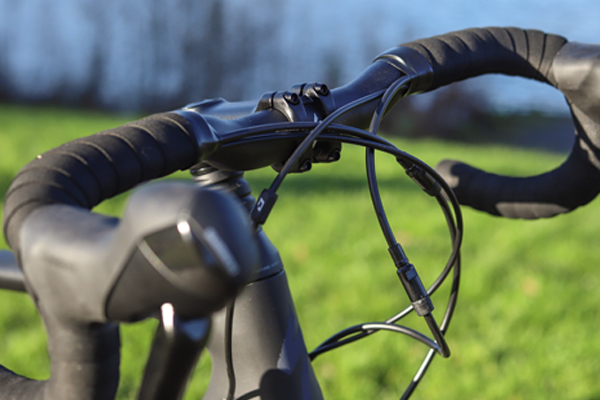 Rear compliance is achieved by lowering the attachment point of the CG-R seatpost to below the top tube in order to offer 20 degrees of rearward arc compliance. At the front the smooth rolling ride feel is achieved with the Future shock cartridge that we discuss in more detail below. The concept of making a bike compliant, so that it rolls easier over rough surfaces and reduces rider fatigue, is nothing new. What is new however is way that Specialized have achieved this. The Future Shock cartridge sits in the headtube and offers 20mm of travel between the frame and handlebars. This means that the bike moves towards the rider to absorb bumps on the road and maintain traction. As well as making the ride incredibly smooth, this design means that the wheels are still directly connected stiffly together in the frame, so the handling is also far more predictable. While the feel of the Future Shock feels odd when you first climb on the bike, as soon as you hit a rough road surface you will find that feeling different is a small price to pay for such a smooth ride. 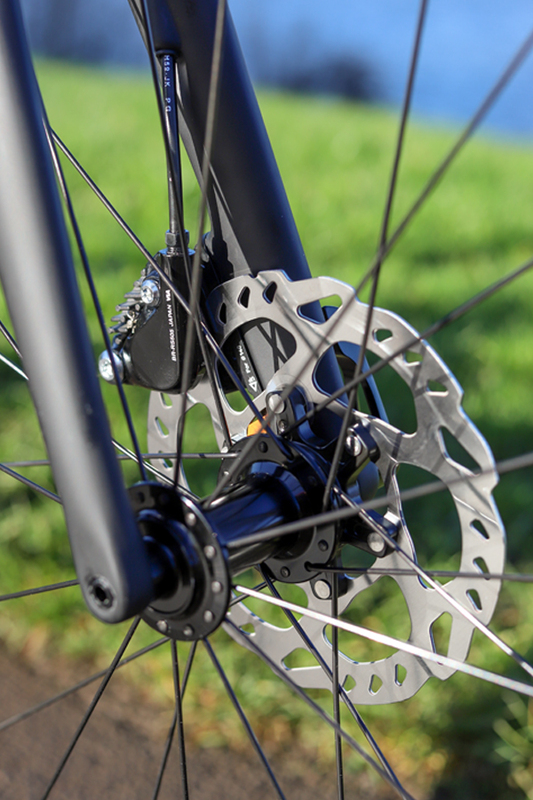 With disc brakes, all Roubaix’s offer improved all-weather stopping control. 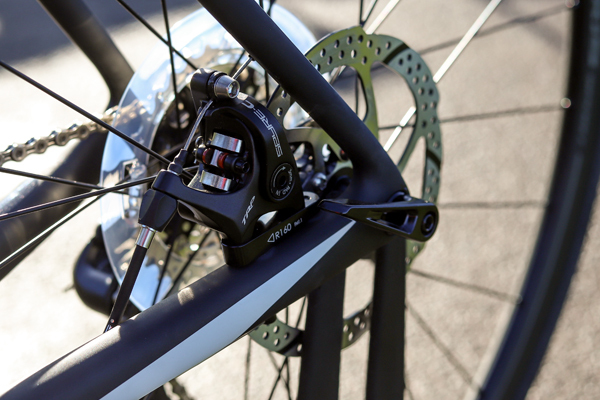 Most models are spec’d with Shimano hydraulics which offer powerful control with a great feel. You get the very impressive SRAM Red or Dura-Ace hydraulic discs at the top of the range, while the entry level Roubaix’s use Tektro Spyre mechanical discs that are reliable, but lack the smooth feel of hydraulics. The entry level Roubaix is spec’d with a Shimano Tiagra 2x10 speed drivetrain while all the other models get an 11-speed drivetrain. All models feature a compact chainset and wide range cassette to give you a good spread of gears for riding over mixed terrain. For 2018 there are two S-Works models, one gets SRAM’s top of the line ETap groupset while the other features Shimano Di2. The Roubaix Sport and Elite get a Shimano 105 drivetrain while the Comp and the Expert feature Ultegra. 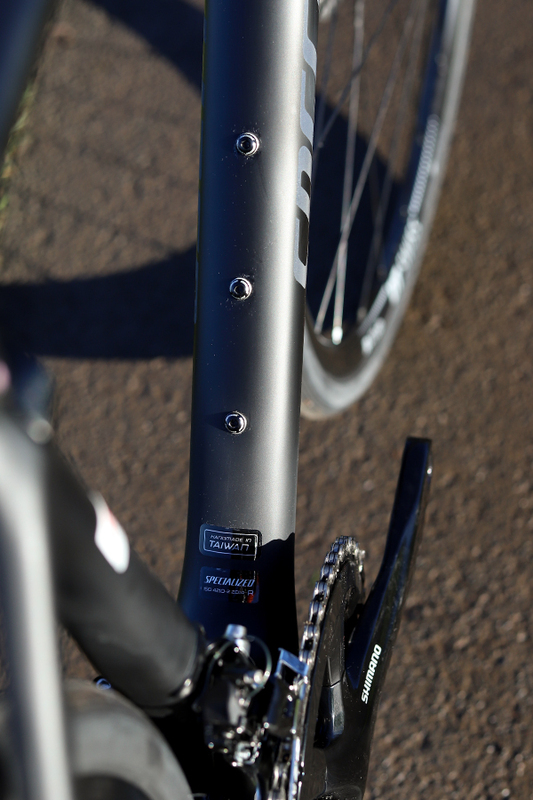 The Pro model features Shimano Dura-Ace. The Expert, Pro and S-Works models come equipped with a SWAT box to store your ride essentials low down in the frame. With disc brakes on every model the Roubaix is ready for all-weather cycling on even the most challenging road surfaces. 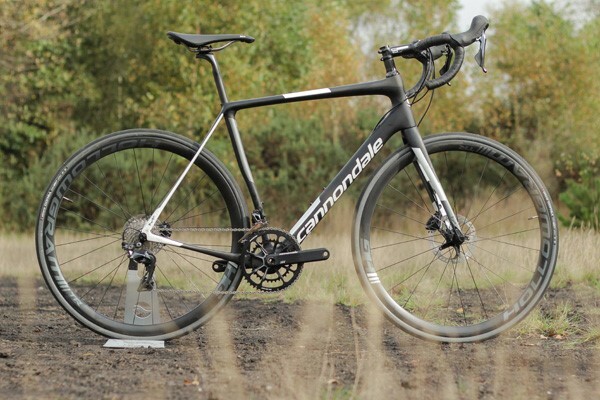 Built to take the rough with the smooth the Roubaix features slightly wider 26mm tyres, with wheels that can take a hammering without slowing you down on the climbs. Both the S-Works and the Pro feature Roval CL or CLX wheels, with carbon rims for the ultimate in robust, lightweight performance. The Expert and comp roll on Roval SLX wheels while the Elite gets DT Swiss R470 disc wheels. 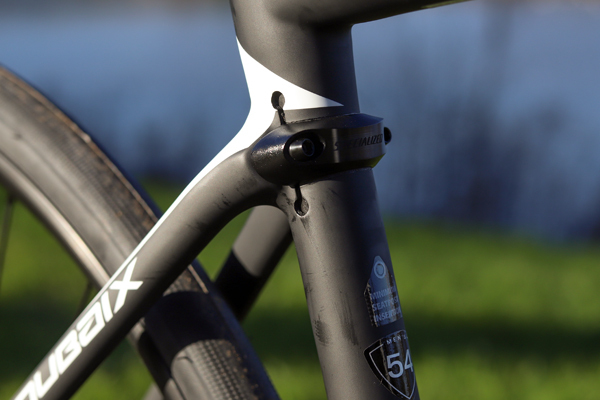 You get the unflashy but functional Axis Elite Discs on the entry level Roubaix. All the wheels are shod with Specialized Turbo or Espoir tyres that are fast, lightweight and tough. The 28mm tyre width (26mm on the S-Works) offers a little more cushioning while the GRIPTON compound on the Pro and S-Works combines low rolling resistance with excellent grip levels. I wasn’t expecting much from the new Roubaix as thought the idea of suspension in a road bike was nothing more than a gimmick. However, taking the Roubaix out for a 30 mile spin after work left me pleasantly surprised. After some fast riding with the chain gang, where I noticed the lack of acceleration compared to my usual Giant TCR, I sought out some gravel tracks and rough roads to give it a fairer test. On these harsher surfaces the Roubaix truly came into its own and I found myself looking for pot holes to see how much it could take. This Roubaix offered such a smooth ride and the flex in the seatpost meant I could just pedal through it all instead of having to leave the saddle for the harsher stuff. The Roubaix was surprisingly light and more agile than I expecting and is certainly the most comfortable bike I have ridden to date. 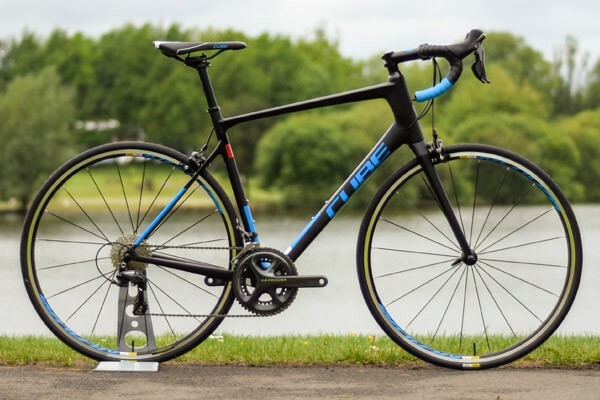 Great for sportives and endurance road bike races, the Roubaix isn’t restricted to gruelling rides over cobbled roads and offers benefits to all cyclists looking for a smoother ride without sacrificing speed. The Future Shock and drop clamp compliance systems smooth the road so well, without losing any efficiency, that there are not many riders that won’t appreciate the benefits that the Roubaix offers. While the movement under the bars may seem a little strange at first you will soon realise that there are great benefits to having a bike that is stiff and efficient, with predictably good handling, while still offering great traction and of course a bit of added comfort.